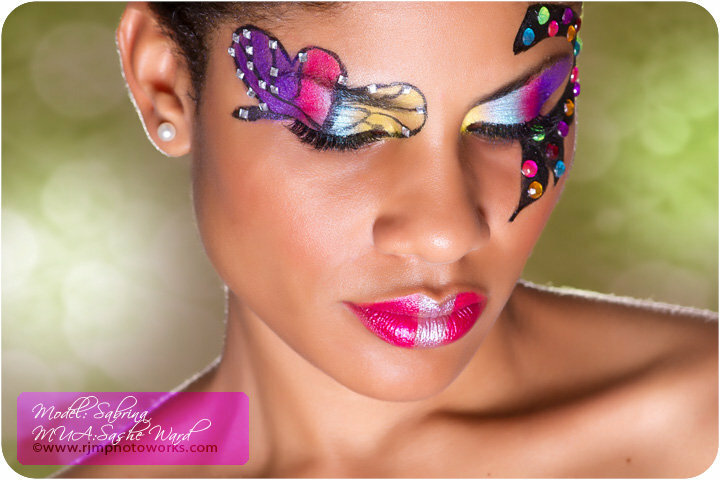 I'm still on the hunt for makeup ideas. Check out Island Beauty Entertainment. 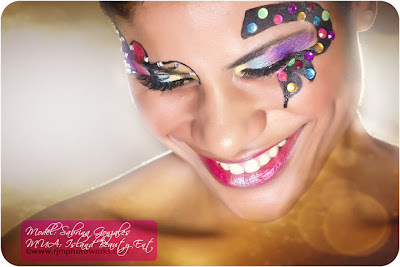 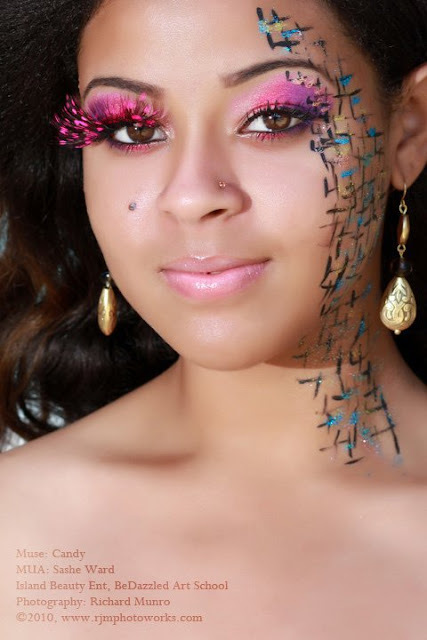 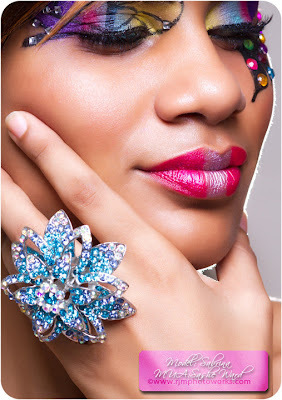 Island Beauty Entertainment is a beauty, make-up fashion house run by owner, creative director and make-up artiste and specialist Kymberly Ward. Ward is a certified MAC Make-up artiste and consultant and is considered by most the most creative and artistic MAC make-up artiste in the region. 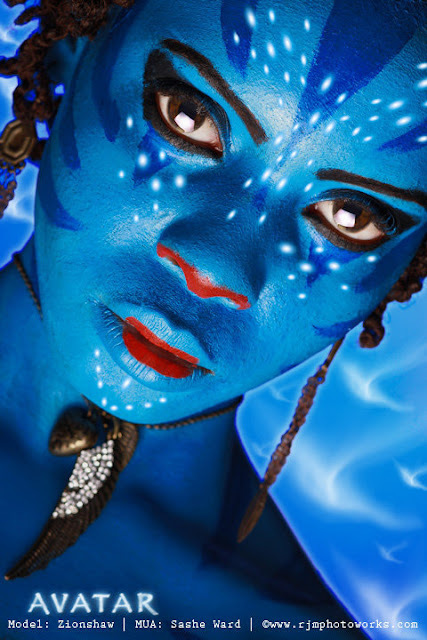 Kymberly who also goes by the name Sashe’ has been creating some of the most spectacular facial works of art and has recently teamed up with Richard Munro and his RJM Photoworks to create some of the most stunning creations and metamorphosis of make-up artistry and the camera. 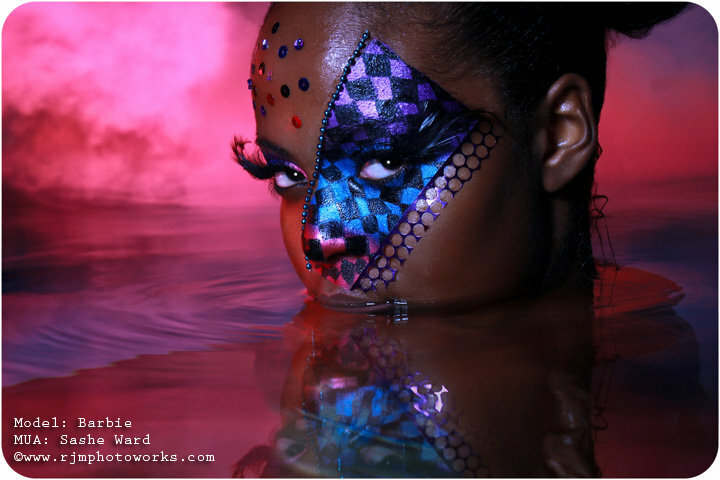 RJM Photoworks has been making a buzz for quite some time with his striking and imaginative photos. His artistry has been called upon throughout the Caribbean including the BVI, Anguilla, Antigua and of course his hometown of Trinidad. 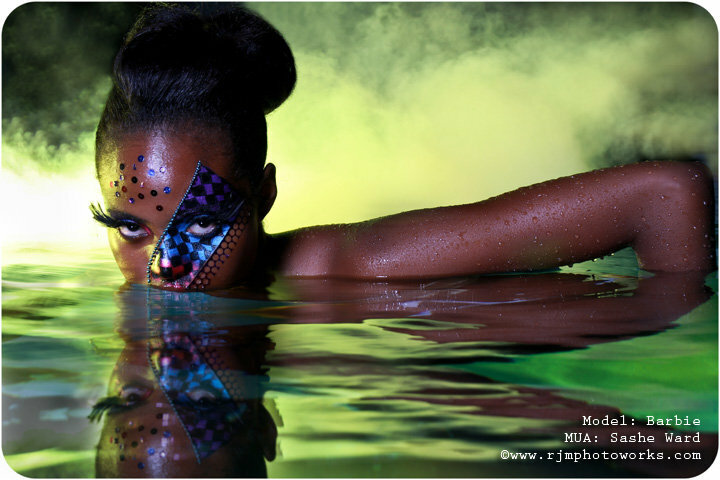 Thus making the St.Kitts based photo creations studio the most sort after in the region.